You can take the singer out of the 1970s, but you can’t take the 1970s out of the singer. It may be his first proper album in 41 years, but you can still hear the early 1970s in Bill Fay’s new album. There’s the slight trembling of the vocal, a folksy giveaway. And then there’s the lyrics. There are songs about, you know, Life, man. ‘In the space of a human face there’s infinite variation, It’s a cosmic concerto and it stirs my soul’. But Bill Fay is no mere 70s’ throwback. This is no nostalgia trip. This is a great, new, album. Take the second song, ‘Big Painter’. With no real verse or chorus, in the early 1970s this would have been a thin-sounding tone poem or, worse, a long, but “really meaningful” dirge. Now, with contemporary production techniques, the song is full of sounds. Similarly, ‘City of Dreams’ builds slowly, but the production gives it a big, bold, and brooding feeling right from the start. It’s precisely the combination of the vintage vocals and songs with the modern production methods that makes Life Is People such a great listen. It means, though, that when the album veers more towards the straight contemporary, then it falters slightly. On ‘This World’, Jeff Tweedy guests. His vocals fit really well and it would make a great up tempo Wilco number. But it doesn’t come together as a Bill Fay ft. Jeff Tweedy track. Equally, when it sounds just a little too nostalgic, then it doesn’t quite work either. ‘The Healing Day’ is eminently skippable. But put the two elements together and it generates some really great songs. And then, to cap it all, there’s the cover of ‘Jesus, Etc’. Played with just a piano, the tempo slowed right down, and the vocals closely miked, Fay transforms the song from the fairly jaunty Wilco version to an intimate confessional. ‘Bitter melodies turning your orbit around’. Indeed. The Graceless Age marks the return of an arch miserabilist. Murry’s previous album was a collaboration with Bob Frank and consisted of two artists howling a bunch of murder ballads gruffly, very gruffly. Now, Murry’s back and he’s on his own. He’s been through an awful lot in the meantime. Not least, he OD’d and had to be revived by paramedics when both he and his dealer had given him up for lost. In this album, he tells us his story. “I’ve beaten my brain on benzodiazepines”, he sings, setting the scene, on ‘California’. At the end of ‘Little Colored Balloons’ he keeps repeating “On 16th and Mission”. 16th and Mission was where he OD’d. Affecting? You bet. Depressing? Not a bit. This is no grizzled old artist with just an acoustic guitar. This is miserabilism with tunes. Miserabilism with melodies. Miserabilism that makes you want to hum the chorus. The songs are epic and not just because two clock in at more than eight minutes. There’s a big sound. A huge sound. Keyboards and guitars of all sorts. Cellos. Backing vocals. The album rocks. Well, sometimes at least. Murry communicates real emotion in his lyrics. They’re confessional but never morose, never maudlin. And just so that things don’t get too comfortable, there’s always a sense that trouble isn’t very far away. Here, he tends to confine it to the spaces between the tracks. The cracked bell that tolls. The phone-in of the birth that almost never was. 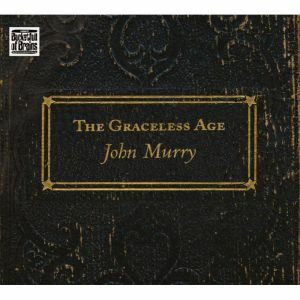 You end up being really glad that you aren’t John Murry, but so thankful that there still is a John Murry and that he can produce such a beautiful album.